In an alternate reality, it's 1985, costumed superheroes are part of the fabric of everyday society, and the "Doomsday Clock" - which charts the USA's tension with the Soviet Union - is permanently set at five minutes to midnight. When one of his former colleagues is murdered, the washed-up but no less determined masked vigilante Rorschach sets out to uncover a plot to kill and discredit all past and present superheroes. As he reconnects with his former crime- fighting legion - a ragtag group of retired superheroes, only one of whom has true powers - Rorschach glimpses a wide-ranging and disturbing conspiracy with links to their shared past and catastrophic consequences for the future. 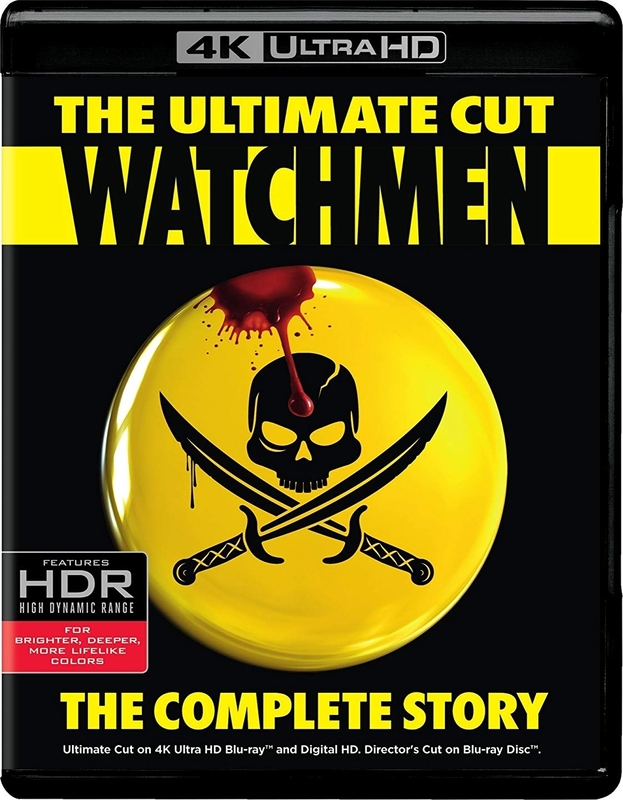 Their mission is to watch over humanity...but who is watching The Watchmen?